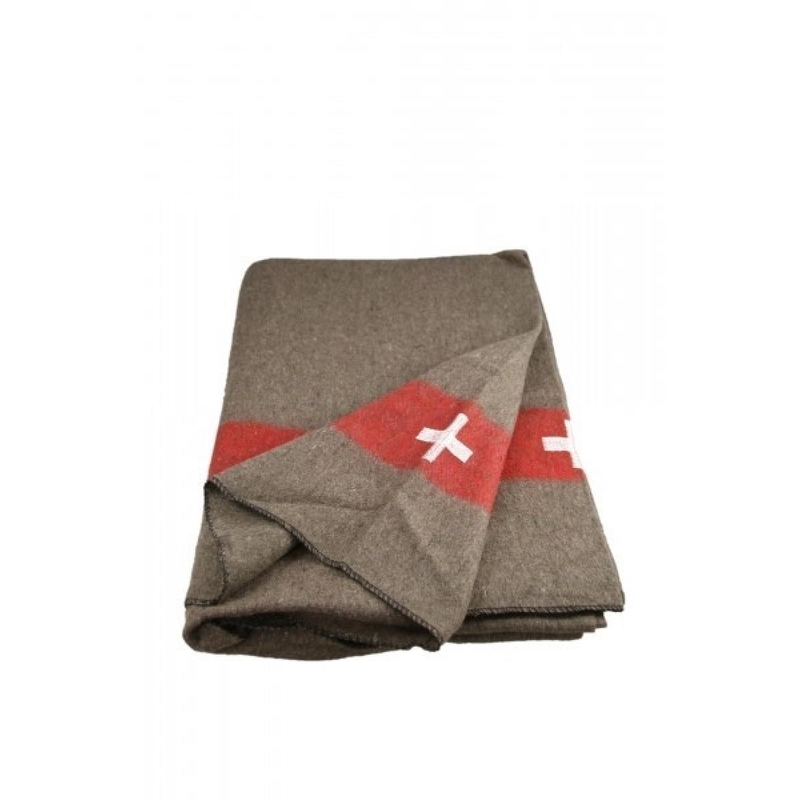 Beautiful copy of the Swiss Army Blanket. Hand sewn white cross on each end. 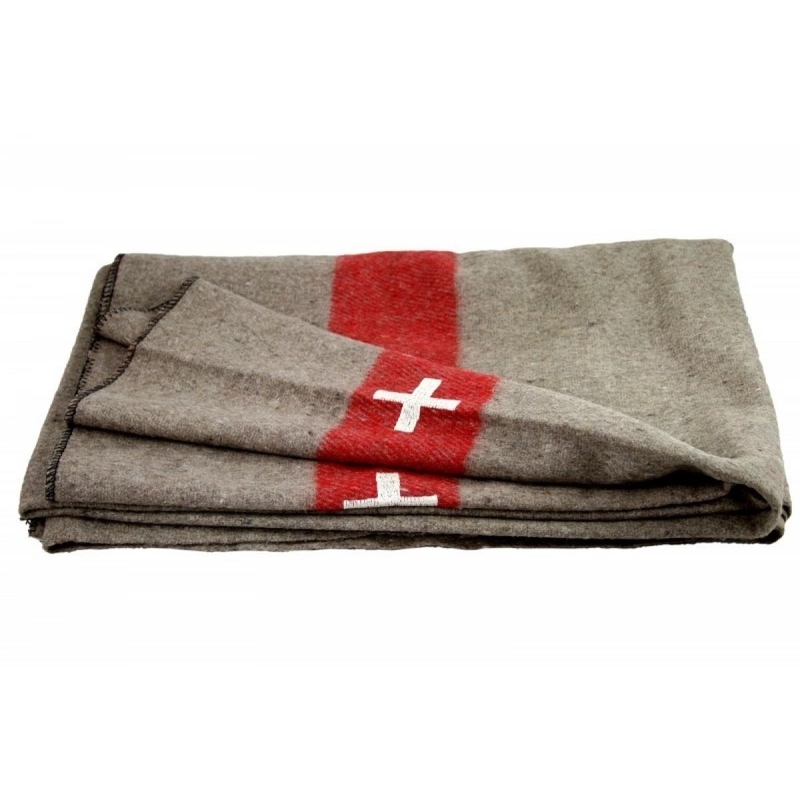 70 percent wool. Measures 60" x 84". Weighs a very nice 4.8 pounds. 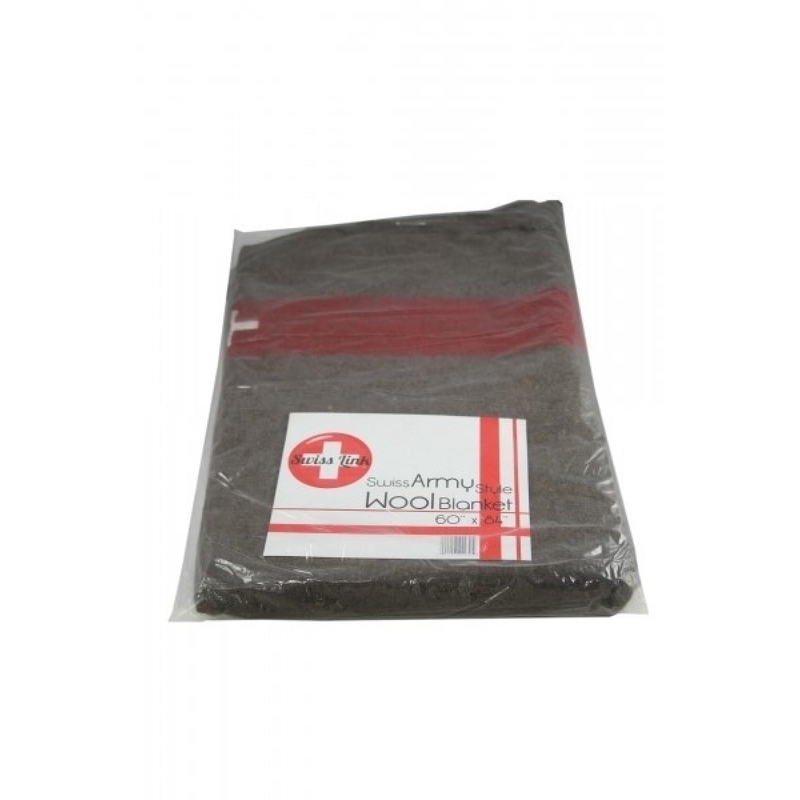 Shades of brown will vary a bit. 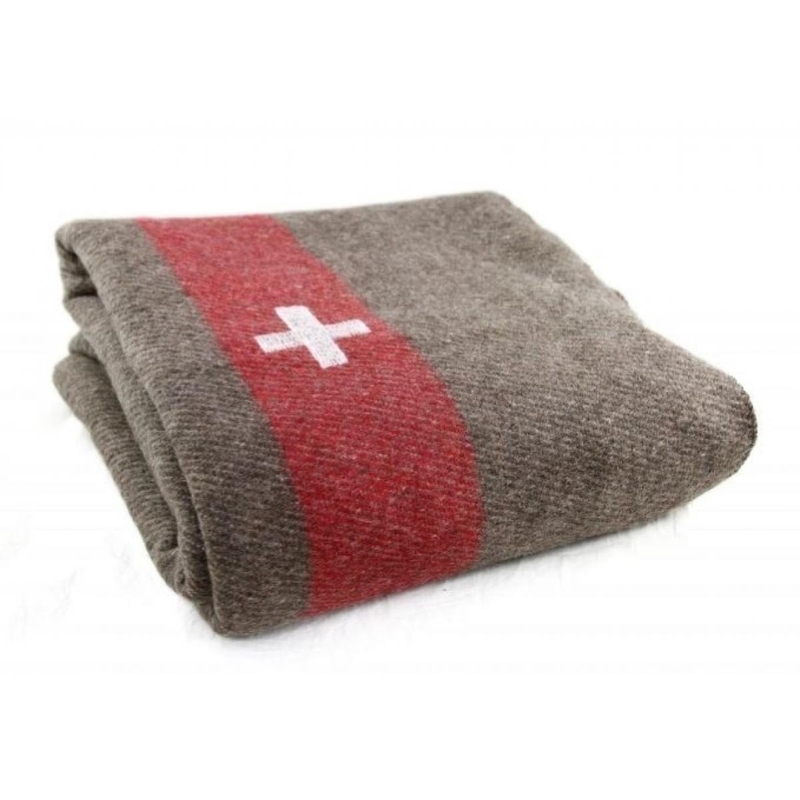 This blanket makes a nice camping blanket or spare winter blanket at a fraction of what the original Swiss blanket would cost.